Tour starts in October in Oklahoma. Last edited by BlanketMan : 04-25-2018 at 02:36 PM. Two dates in Ohio... awesome! Uh-oh! That definitely seems like a sign! Knowing they're playing your town on your birthday, are you thinking about seeing them? I'm on the fence, but I think I will. And after seeing their interview with CBS, I think they're going to play Go Your Own Way after all. What do you think? I would be surprised if they played Go Your Own Way but then again I was surprised they played it in 1987. But I do think this time is different. The songs they mentioned playing Oh Well, Rattlesnake Shake, Another Woman have all been played in 1987 before. Unless you can play Oh Well like Lindsey and put your stamp on the song... don't bother IMHO. Billy played a more traditional Oh Well which was a dud IMHO. It would never happen but could you imagine opening with a Judas Priest version of Green Manalishi and just blow everyone out of their seat. That would never happen I know especially because Stevie would not have anything to do or sing. But they will go through the motions with the older songs which is why I understand how Lindsey hated playing older Mac songs. It made him feel like a bar cover band. Christine should really dig deep and play some of her older classics but she never did that in 1987 or 1990 so I know its not going to happen. The older songs will be for Finn. Last edited by Macfan4life : 04-25-2018 at 05:13 PM. And Lindsey is doing his thing for a political candidate on my birthday. If it's your hometown, then I would definitely take that as a sign! Plus, that sounds like an incredible, once in a lifetime intimate opportunity, to attend a dinner and private performance by Lindsey. Go Lola Go! Thank you for posting the tour dates. A reason to keep this thread bumped. Since we can't get a sticky. 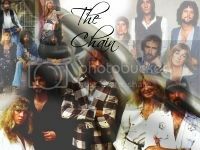 The Fleetwood Mac.com page says Peter left in 1969. That's not very accurate !